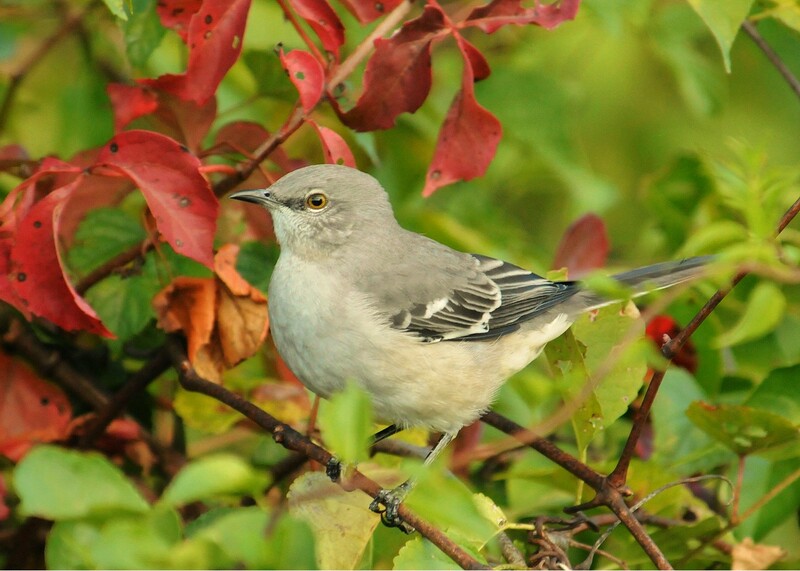 Northern Mockingbirds, also called “Mockers”, are quite territorial, and may swoop down threateningly on animals including cats, dogs, or other birds that enter the range they are defending! Although they may generally be too small to do much harm to these animals, they certainly appear more threatening than they actually are! Normally, an individual Northern Mockingbird has between 25 and 30 separate songs that it will sing on a fairly regular basis. Many people value these birds for the sweetness of their songs. The songs are actually “mockeries”, and are composed of a melange of other birds’ songs in addition to their own! Northern Mockingbirds are useful to have in your garden, and not only for the value of their voices. They feed on insects, and eat some that may be considered garden pests. 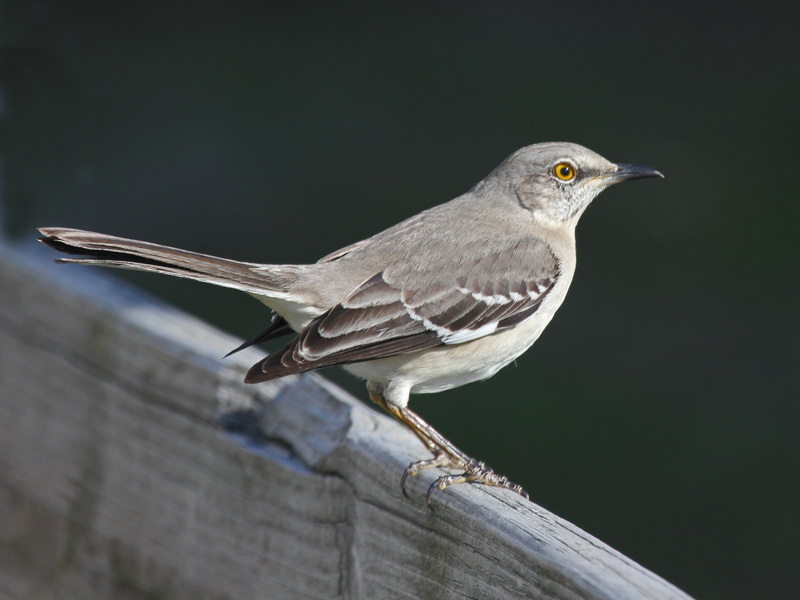 Mockingbirds also feed on fruits, especially in winter months, when insects may be scarce. They like open, grassy areas near shrubs or thickets in which they can take cover if they feel alarmed. 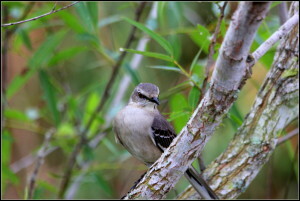 At maturity, the Mockingbird measures about nine to ten inches (25 centimeters) in length. 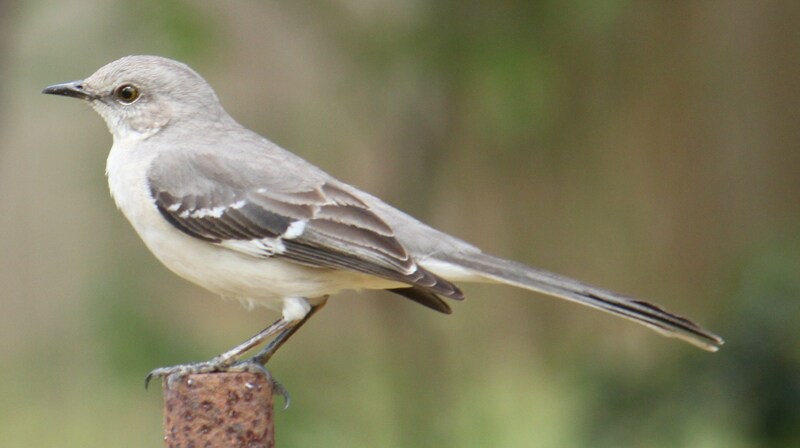 Most of the plumage of the mockingbird is light gray, and the underside has whitish feathering. Its wings and long tail are darker gray, and may have white splotches on them. 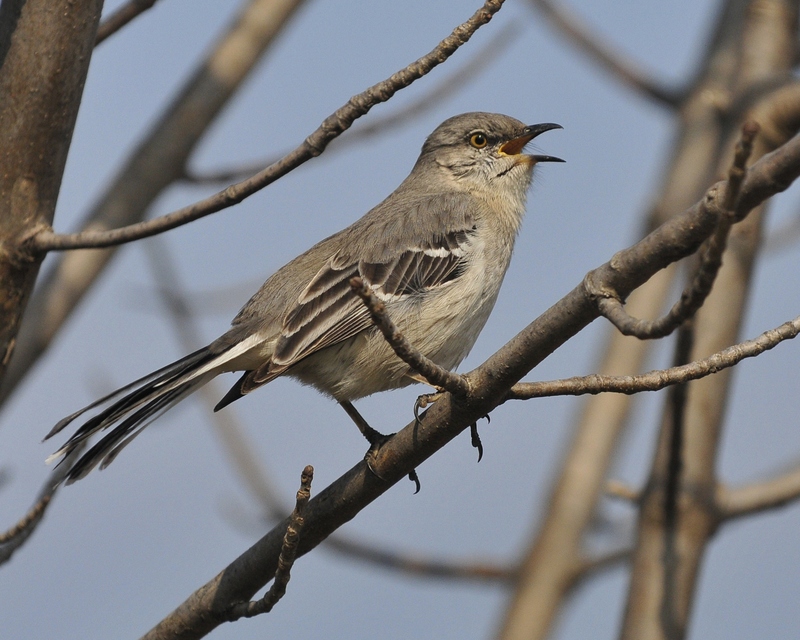 Mockingbirds are so adept at imitating noises that, in some electric analyses when comparing the Mockingbird’s voice and the original sound, no difference was seen! 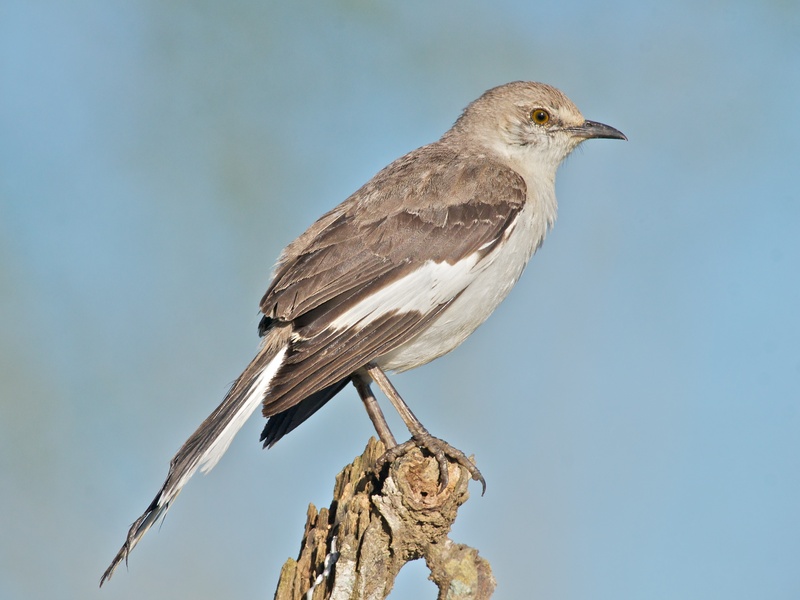 The Mockingbird is the state bird of Texas, United States, although they range all over North and Central America. They even reside in the Hawaiian Islands, where the species was introduced. Extremely common in the Southern United States, this species was also included in the title of a classic novel set in that region, “To Kill A Mockingbird”. This species is a permanent resident and is not known to migrate. Northern Mockingbirds can be attracted to your yard by using a suet feeder and a fruit feeder. Pomegranates and apples may be special favorites. Berries, figs, and grapes are also all appreciated. Mockingbirds also love to bathe, so you should have a water source available for them to wash in. 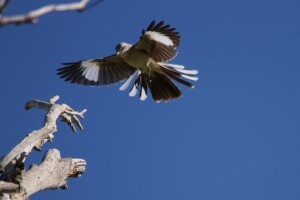 Northern Mockingbirds begin courtship by singing! Males may become quite restless and sing constantly. 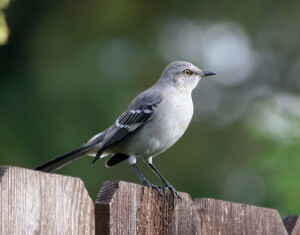 The nesting season occurs between March and August, and during this time, Mockingbirds may become especially aggressive when defending their territory. Usually, the nest is built in a cup shape from twigs or other dry vegetation. Usually, between three and six blue, brown – speckled eggs are laid. The female Mockingbird will incubate these eggs for about 11 to 14 days. Once they have hatched, the male will also help care for the little birds. 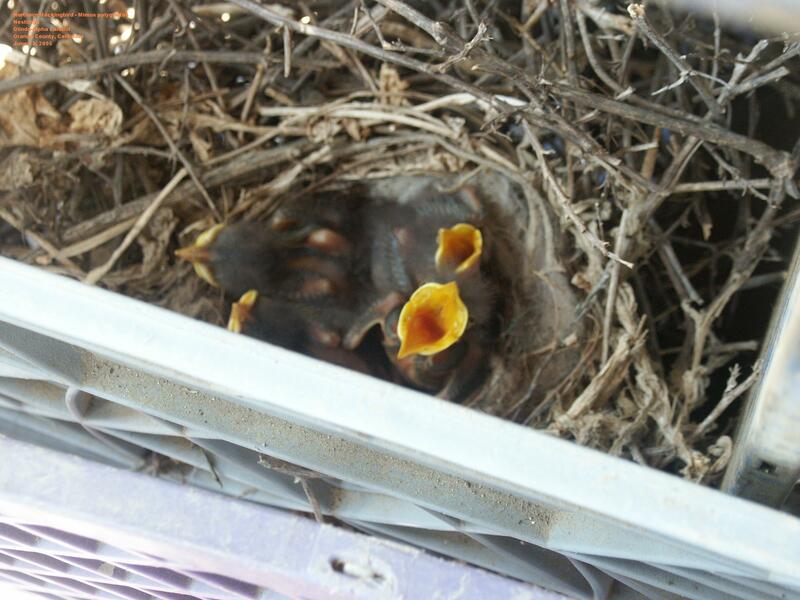 By the time they are about 11 days old, young Mockingbirds begin to leave the nest.